Packaged DNA molecule. Computer model showing the structure of a smoothly bent molecule of DNA (deoxyribonucleic acid) as it would appear in chromatin. Chromatin is the combination of DNA and the histone proteins (not shown) used to package it into the nucleus of a cell. 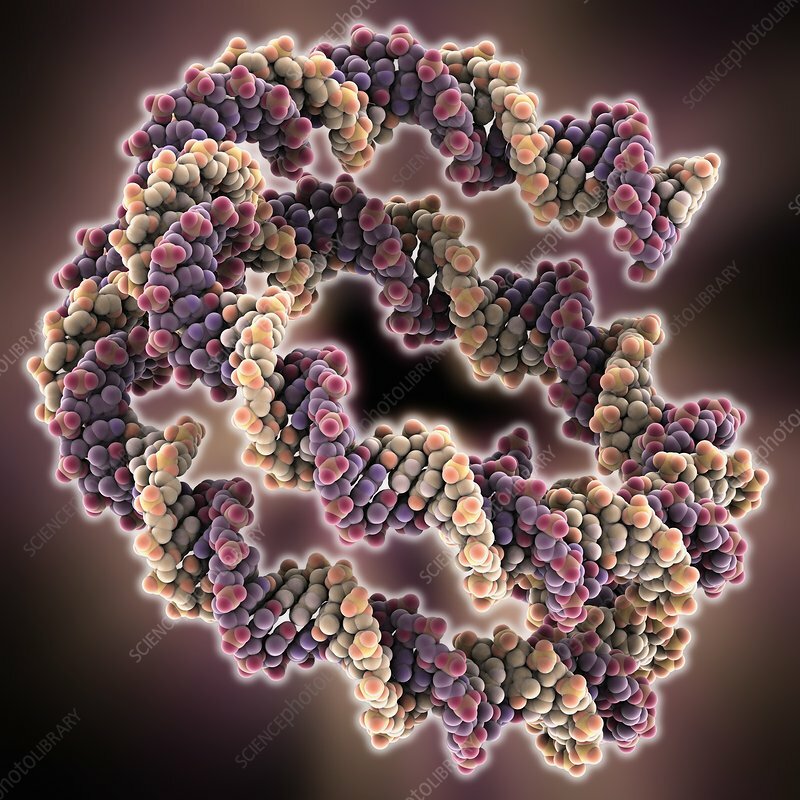 The primary functions of chromatin are: to package DNA into a smaller volume to fit in the cell, to strengthen the DNA to allow mitosis, prevent DNA damage, and to control gene expression and DNA replication. In order to be packaged efficiently the DNA must be curled smoothly around the circular histones as shown here.